Labor Day is the unofficial end of summer, and the transition to autumn begins. I am already starting to see signs of this transition happening. Not quite sure I am ready to leave summer behind, but what are ya gonna do? Love the sense of peace in this leaf buoyed by the water. Beautiful. Wish there were more days of summer. I am not ready for fall or winter. Beautiful! I'm starting to see yellow leaves here too and the mornings are getting colder. Great shot! It speaks of summer being washed away by fall. 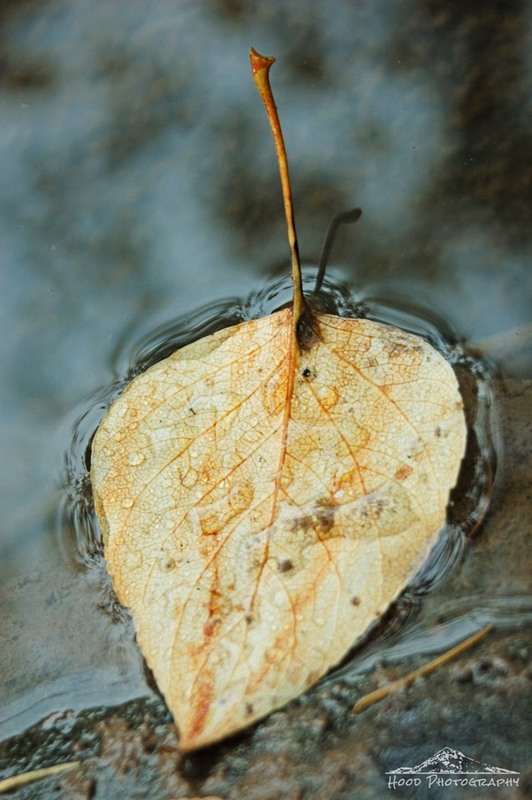 Great photo of the fallen leaf! It's raining here now, and feeling more like fall, so the fallen leaf is very poignant and wrenching, I'm not ready for fall to come. Pretty effects of the water and leaf interacting.